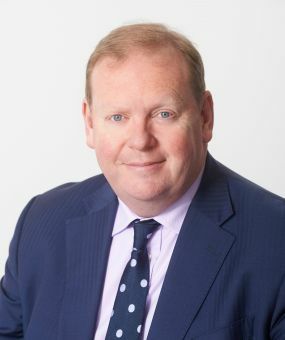 Vincent Moran is a leading QC whose practice covers a wide range of advocacy, advisory and drafting work related to construction, engineering, transport, energy and information technology disputes along with associated professional negligence and insurance matters (including policy coverage disputes). Vincent has been involved in a number of high profile cases across his different areas of practice such as in relation to the new Hong Kong airport, the Gerrard’s Cross tunnel collapse, the refurbishment of the Wimbledon Lawn Tennis complex, the Wembley Stadium dispute, the Walter Lilly case, the London Transport Oyster Card upgrade, the Barking Power Station dispute, the Tinsley Viaduct case, the Channel Tunnel Rail Link and Crossrail. Recent instructions have related to offshore wind farms, North Sea oil exploration equipment, PFI disputes connected with hospital projects and applications for the removal of arbitrators, including the Cofely case. His personal advocacy experience covers most tribunals in the country, including to the County Court, High Court (mainly, but not exclusively, the Technology and Construction Court), the Court of Appeal, arbitrations, adjudications and professional disciplinary boards. He has also appeared in the House of Lords in one of the most important commercial cases of the last 20 years (SAAMCO). He has been retained in disputes arising under most standard form contracts used in substantial projects (including the JCT standard forms, ICE, NEC, IChemE and FIDIC forms) and is also regularly instructed in domestic and international arbitrations (including ICC, LCIA, DIAC, SIAC and HKIAC arbitrations), adjudication work and has extensive experience in alternative dispute resolution in the UK including many high value claims using mediation. Vincent is recommended in the leading directories in the areas of construction, energy, international arbitration and professional negligence, where he is endorsed for his strong advocacy skills, “robust” cross-examining and “forensic attention to detail”. He is an editor of Chitty on Contracts (the Construction law chapter) and an author of Keating on Construction Contracts (chapters 8 and 9 on delay, disruption, financial recovery and causation). Acting as leading counsel in Dubai for the employer in a $250m dispute relating to a road project in Afghanistan. Acting as leading counsel in an arbitration at the HKIAC regarding the development of a commercial property in Hong Kong. Acting as leading counsel and leading a 5 counsel team in a Euro 120m offshore windfarm ICC arbitration concerned with defects, delay and termination issues. with defects and project delay in an off shore wind farm. Representing a piling contractor as leading counsel in an arbitration in Hong Kong connected with a $HK100m final account dispute with the developer of a high rise residential development. Acting for the main contractor in a £50m claim in Dubai connected with the planning, design and construction of a canal. Acting as leading counsel for a developer in a TCC trial connected with £5m defects claim against dry lining sub-contractor. Acting as leading counsel for a contractor in a £20m dispute under an EPC contract for a waste to energy plant in a TCC action. Acting as leading counsel for a foreign state in a $200m dispute over termination of a FIDIC contract to construct a major road network. Acting as leading counsel for a contractor in successfully applying to remove an arbitrator for apparent bias. Acting as leading counsel for an arbitrator in successfully resisting an application to be removed for serious irregularity/bias. Acting as leading counsel for the owner claimant in a £15m TCC defects claim arising out of water ingress to the well known Brunswick Centre in Central London. Acting as leading counsel for a design and build contractor in a Part 8 claim against its subconsultant in the TCC. Acting as leading counsel in a £10m claim in respect of allegedly defective drilling plant for use on an offshore drilling vessel in the North Sea. Acting as leading counsel in a £20m arbitration arising out of the Olympics. Acting as leading counsel for a manufacturer of gas pipework in a complex £5m claim involving 5 parties in the TCC connected with defects, delays and cost overruns experienced in a residential housing development. Acting as leading counsel in a £5m claim for main contractor in development of a new town outside Cambridge. Acting as leading counsel for a main contractor in a major £20m fire claim connected with a main London hospital. Representing a maintenance contractor in a multi party £15m claim in the TCC connected with defective air conditioning systems in a major commercial development. Representing a developer/employer chemical company in a complex £10m claim in the TCC with the supplier/manufacturer of power plant. Acting as leading counsel in arbitration of a €50m offshore windfarm dispute concerned with defects, delay and termination issues connected with the project. Representing the employer as leading counsel in a $500m arbitration claim concerned with defects and project delay in the UK’s largest offshore wind farm. Acting for the designer of a wave gate to a harbour in a £5m claim brought by its employer. Acting for Barking Power Station in a dispute connected with the defective design and construction of turbines. Acting for the supplier of North Sea oil exploration equipment in a dispute with an exploration company. Acting for one of the UK’s largest chemical companies in a dispute connected with the design and construction of a major boiler plant for the supply of steam for manufacturing processes. Acting as leading counsel for main contractors and service provider in a £18m dispute regarding deduction in respect of alleged fire stopping defects in a hospital project. Acting as leading counsel for a local authority in a dispute over service payments under a PFI/PPP arrangement in connection with a leisure centre. Advising on adjustments, the extent of service obligations and payment entitlement under a PFI contract in connection with the construction of a new hospital in the Midlands. Representing a main contractor in an adjudication arising out of a dispute with the Project Company in connection with the redevelopment of a hospital in London. Advising a main contractor in a claim for termination and further payment under a PFI contract connected with a hospital development. Advising and representing an M&E sub-contractor in a delay claim made by a main contractor arising out of a PFI hospital development. Advising and representing an owner/employer Police Authority in a TCC action and dispute arising out of a PFI project to design and construct a new Police Headquarters and associated facilities. Representing the architect defendant in a £10m TCC claim arising out of fire damage to a block of flats allegedly caused by alleged inadequate fire stopping construction and design by 1st defendant. Representing an architect defendant in a multi party dispute arising out of the design and construction of the new (High Court) Rolls Building. Representing the main contractor for Wembley stadium in a £250m TCC claim for negligence against structural engineers. Representing a private individual employer in a TCC action concerning responsibility for obtaining planning consents and related extension of time and lost and expense in a prestigious private residential project. Acting as leading counsel for an architect in a £10m claim by a main contractor arising out of a major residential development. Acting for a design and build contractor in a Part 8 claim against its sub-consultant in the TCC in connection with the design of a waste to energy plant. Acting for an engineer in a TCC action in a £5m claim connected with a 3 way dispute between the engineer, the client and the contractor arising out of the termination of a building contract for the construction of a leisure centre. Acting for an M&E consultant in a £20m claim for damages for negligence in the design and construction of systems for a new-build hospital development. Acting for an architect defendant in a £5m TCC claim for negligence arising out of a prestigious residential development in Kensington. Representing an architect defendant in a TCC claim arising out of the development of The Wimbledon Tennis Club. Representing a developer claimant in a TCC action seeking damages against its contract administrator. Representing an M&E sub-contractor defendant in a negligence action arising out of the new Imperial War Museum development. Representing a defendant project manager in a major TCC negligence action connected with a commercial development in Birmingham. Representing a defendant engineer in a major TCC negligence action connected with subsidence of a residential housing development. Advising a commercial claimant in a TCC action for professional negligence in connection with the design and construction of a warehouse facility. Acting for a solicitor defendant in a TCC action for alleged professional negligence connected with the conduct of a construction arbitration. Advising and representing the developer/employer (Union Railways Limited) in various disputes connected with the Channel Tunnel Rail Link project and the NEC form of contract (phases 1 and 2). Advising and representing Union Railways Limited in a major claim in adjudication relating to losses/extra costs connected with the water proofing of a tunnel under the Thames and cost disallowance disputes under an NEC type contract. Acting for a sub-contractor against the main contractor in a large domestic arbitration connected with the construction of two roll on roll off vessels for the MOD. Representing an owner/employer railway company claimant in a major arbitration arising out of the collapse of bridge and supermarket construction on the Chiltern Railway line. strengthening work to the Tinsley viaduct. Representing a main contractor in a major claim in arbitration by a sub-contractor for wrongful termination/repudiation of a major IT contract – i.e. the Oyster card system on the London Underground. Acting as leading counsel and leading a 5 counsel team in a €120m offshore wind farm ICC arbitration concerned with defects, delay and termination issues. Representing the employer as leading counsel in a £350m claim in an LCIA arbitration concerned with defects and project delay in an offshore wind farm. Representing main contractor in major claim in arbitration by sub-contractor for wrongful termination/repudiation of a major IT contract – i.e. the Oyster card system on the London Underground. "An excellent tactician who has a real presence and charisma." "As an advocate, he controls proceedings from start to finish, and brings a calm and confident authority to hearings." "Combines considerable legal knowledge and instinct with a hardworking ethic and a down-to-earth approach." "Great analysis, commitment, responsiveness and accessibility." "Vince is first class. He is accessible, client-friendly, incisive and a brilliant advocate." "Very good - he understands strategy and the bigger picture, which not all barristers do." "An extremely likeable, assured advocate with the capacity to explain complicated things in a simple way." Vincent has recently conducted talks and seminars for a number of leading firms of solicitors in London and Hong Kong on Causation in Construction Law and more generally the topics of deliberate concealment, the liability of surveyors/architects and the nature and extent of a professional’s concurrent duties of care in contract and tort to its client. Enjoys football, rugby, cricket and current affairs.